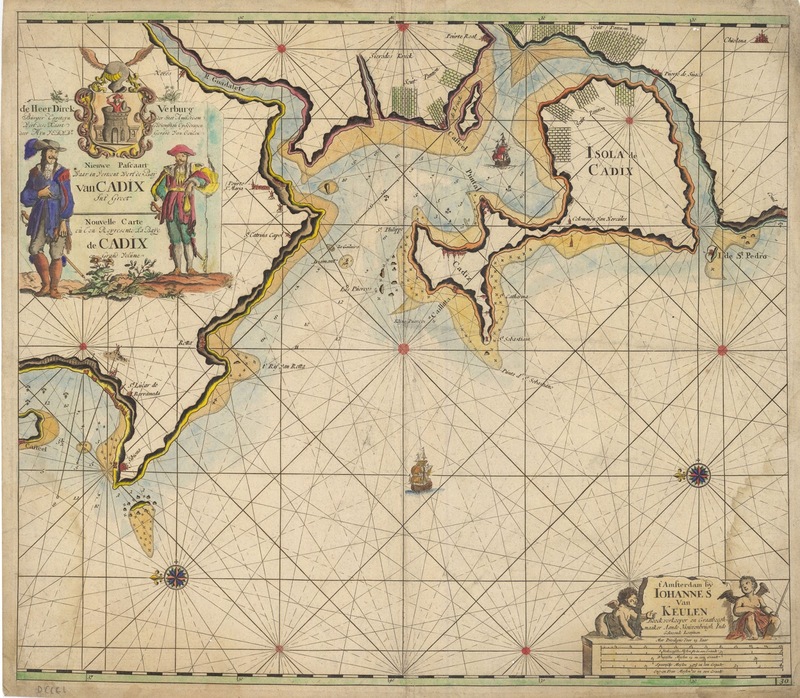 In 1678, Johannes van Keulen registered with the Amsterdam Booksellers Guild as a "bookseller and cross-staff maker" By this time, most of the Amsterdam chart makers and instrument makers, such as Blaeu, Janssonius, Hondius, Goos, Doncker and many others, had either closed down or were at the end of their fame. 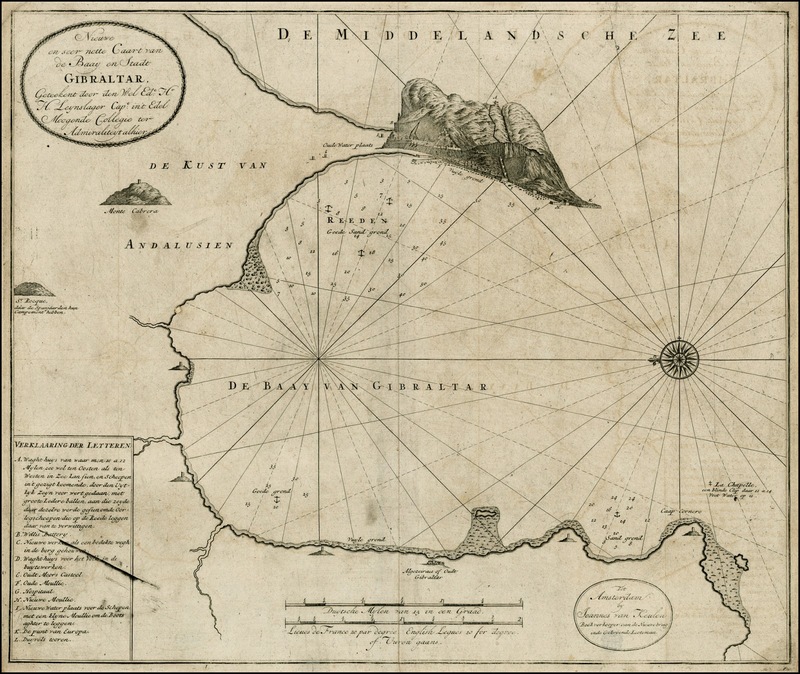 As a result, Johannes van Keulen and his son Gerard had the opportunity to obtain copperplates and stocks of many of his former competitors. 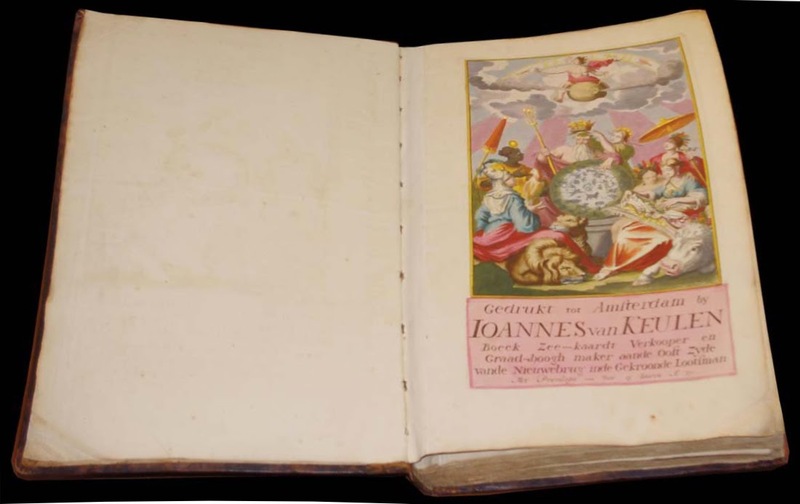 Besides books and cross-staffs, Johannes also produced an illustrated atlas which was published in five volumes. 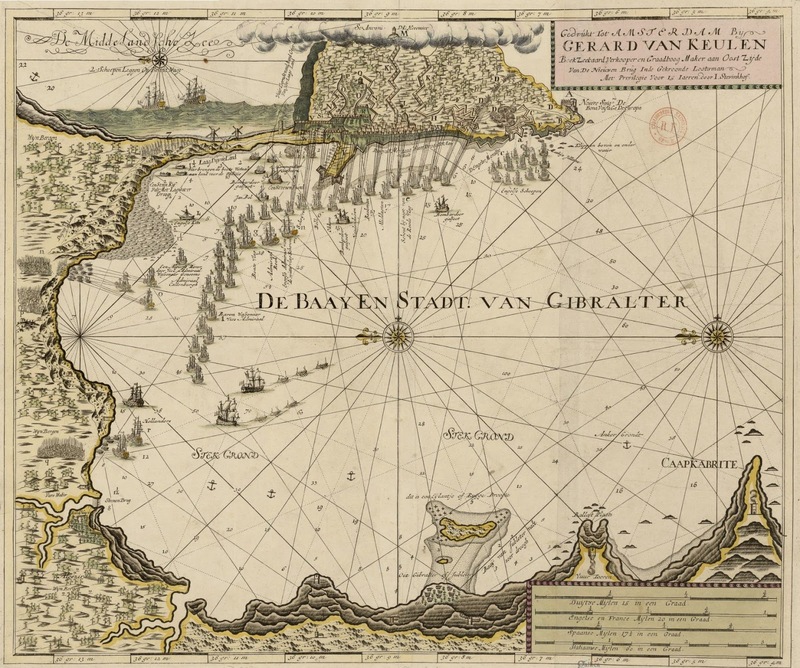 Below are some of the individual plans and maps of Gibraltar, its Bay and surrounding areas produced by the van Keulens. 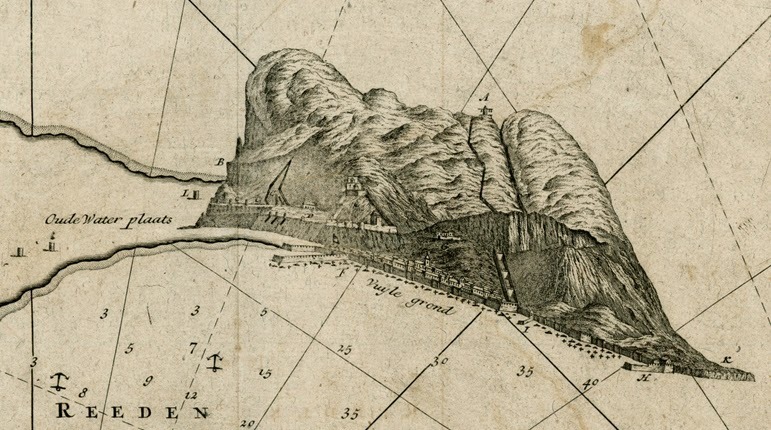 Perhaps the most curious details about the above plan are the depiction of the levanter cloud over the Rock and the vineyards shown to the north of the isthmus. I can find no other plan showing either of these. 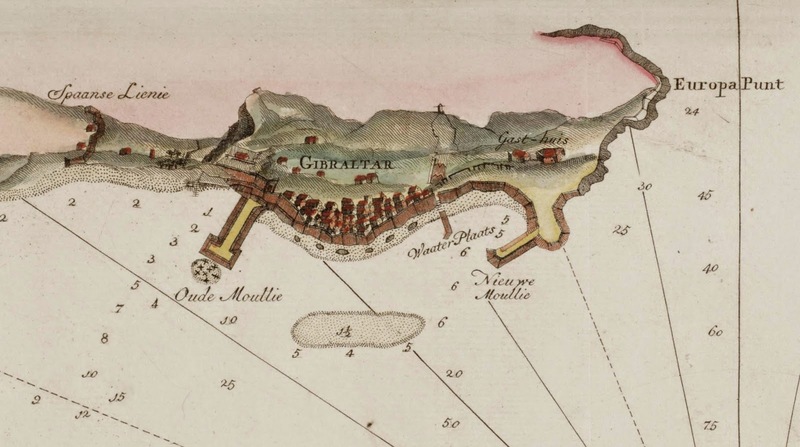 The cloud of course was and still is the bane of the people who live in the Gibraltar. It is produced by moist wind from the east striking the steep eastern cliffs of the Rock and condensing rapidly. The high moisture levels brought about by this phenomenon make for uncomfortable living on the opposite western slopes. As regards the vines are often mentioned in pre-British literature. 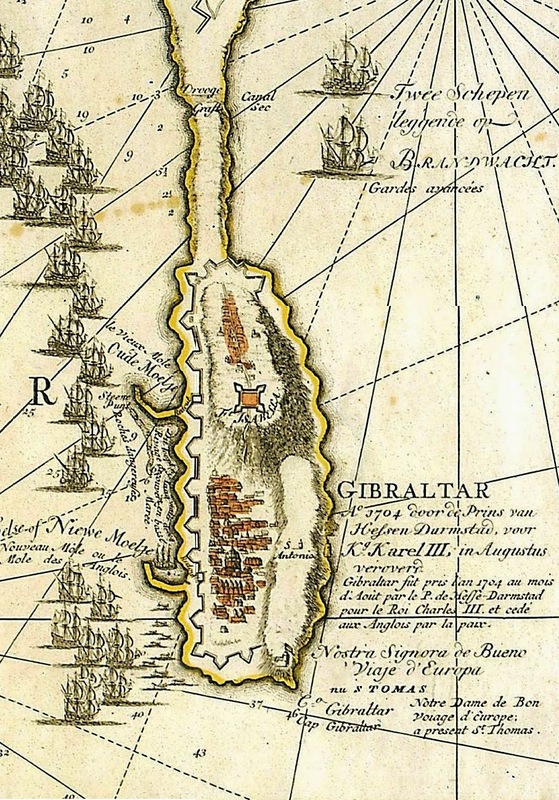 Before 1704 the name Gibraltar did not refer simply to the Rock itself but also to the entire hinterland to its north which is still to this day known as the Campo de Gibraltar. 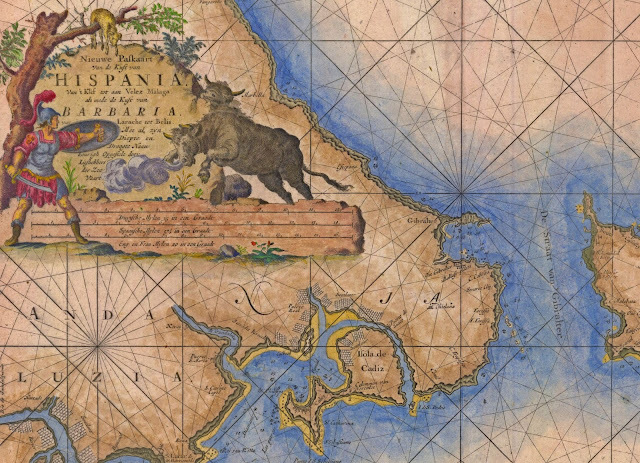 Those vineyards belonged to and were worked by people who were residents of the Rock. Nevertheless, the added appearance of these vines covering the entire Rock is almost certainly incorrect. 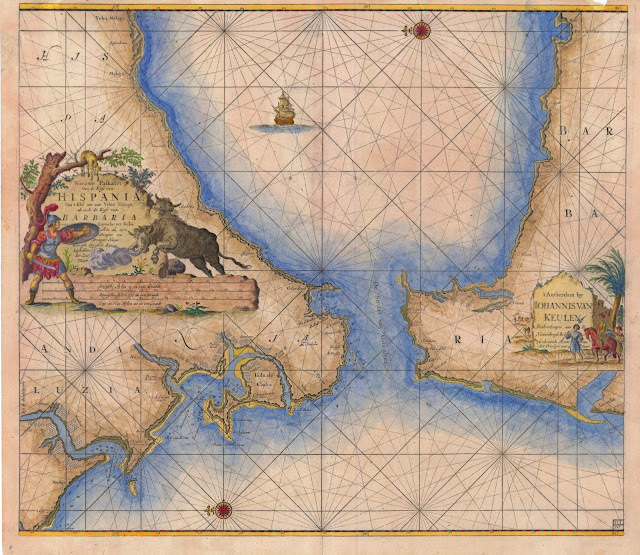 On the isthmus itself there are three windmills (see LINK) - with the Devil's Tower well to the right. At the very top of the Rock there are two unknown buildings labelled D.L. Heremier and St. Antoni. There were, as far as I can make out - no buildings or churches known in Gibraltar by these names either at the time, before or since. The later may possibly have been taken from the map shown below in which the name Antonio appears. On the Rock itself there are two clearly defined east to west defensive structures (see LINK) - the one on the right is Charles V Wall at the top of which is Signal Station - known also locally as el Hacho. The above plan shows a clearly defined line wall surrounding the town, further protected by dangerous rock just below them. The Devil's Tower, a couple of unidentified buildings on the isthmus, the Old and New Moles (see LINK) and the Ragged Staff (see LINK) are also shown. But perhaps the most interesting object on the plan is the Signal Station building. The black balls attached to its mast were an important part of its signalling system. 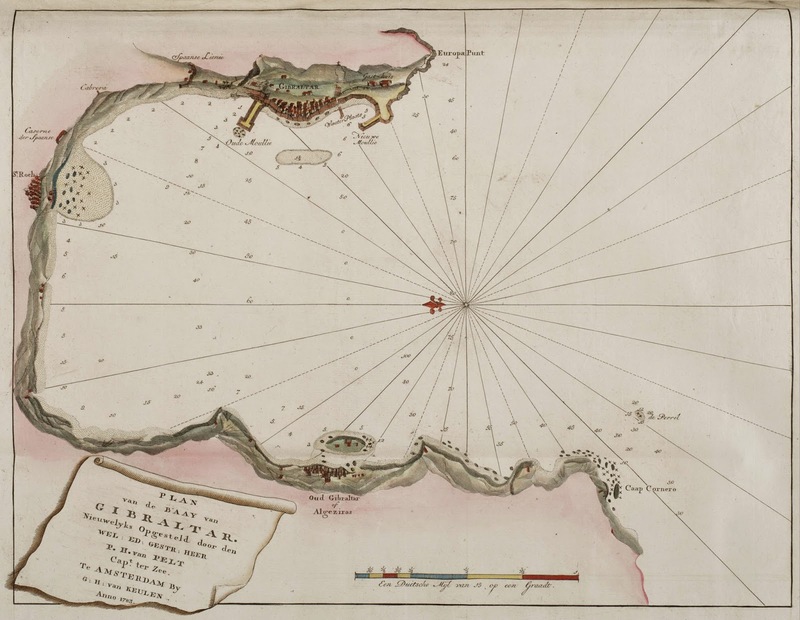 The perspective used on this 1783 plan is rather original but is lacking in detail. Nevertheless what it does show is both correct and informative. On the extreme left are the Spanish lines which were still standing in the late 18th century. The isthmus sports at least one tower which is that of La Torre del Molino. La Torre del Diablo is missing. On the Rock itself and as in the previous map, two clearly defined east to west defensive walls are shown. At the top is Signal Station with its distinctive signalling mast.